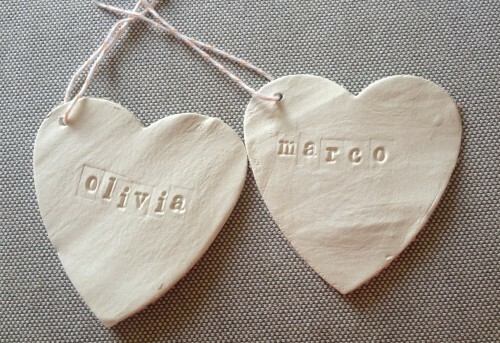 These gorgeous little clay hearts are perfect for weddings, room decorations or even adding love to your christmas tree. In this post I’ll show you how to make them and spread the love! With the rolling pin, roll the clay to about 0.5cm thickness. Using the cookie cutter start cutting away taking care when lifting the cutter that the edges don’t lift. In the corner of each heart poke a hole all the way through using the pen, turn heart over and smooth the back of the heart so there aren’t any lumps or bumps. Using alphabet stamps stamp your names or message. Put in the sun to dry, turning half way through to make sure they are fully dry. With my modelling clay it turned from grey to white as it dried so I knew when it was done. 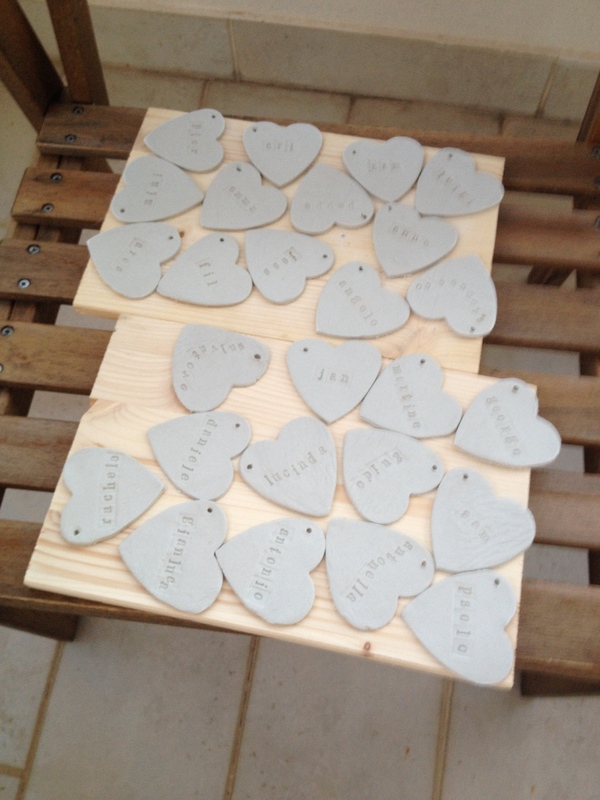 At this point you can paint or varnish the hearts depending on what finish you want. Afterwards, take some cut thread, loop through hole and tie. 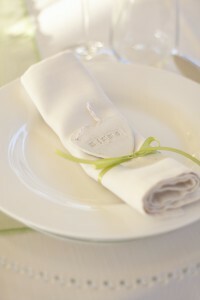 Da Dah, cute hearts that are perfect as wedding favours, place settings or cute home decoration. Easy peasy!